At just 92 square miles, the Acklins Island size speaks nothing of the pleasures it has to offer. Acklins Island famous for miles-upon-miles of easy wading to cast a fly at an elusive bonefish. Not only is Acklins Island a fisherman’s dream for flying fishing the flats, it also attracts snorkelers and divers looking to take part in the colorful life just a few feet under the surface. Acklins Island offers a Bahamian experience away from the more populated tourist locals. Instead, it gives visitors a first class seat to some of the most breathtaking views of nature on full display with countless pristine beaches ideal for swimming, fishing, snorkeling and more. 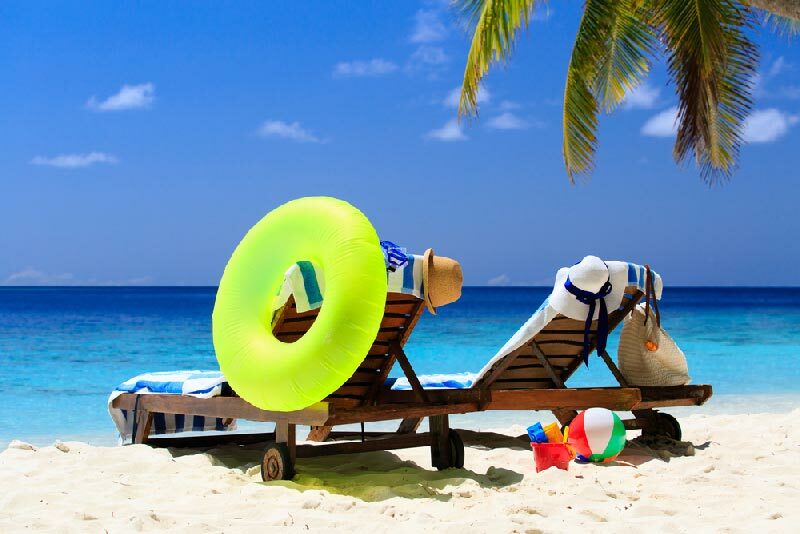 You will probably need to extend your vacation if you want to hit all the best beaches on Andros Island because there are almost too many to number. Ranked #1 by Conde Nast and Travel & Leisure, Kamalame Cay is the ultimate luxury Caribbean resort with beautiful stretches of untouched sand. 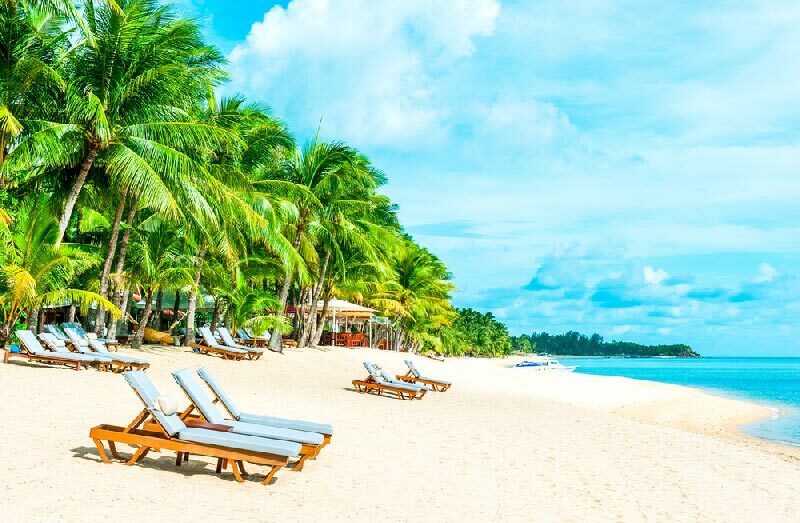 Or for those that desire a more low-key, all-inclusive setting, check out Small Hope Bay and enjoy a lazy sandy beach framed by coconut trees and sea shells that line the shore. Sometimes referred to as “the fish bowl of the Bahamas,” the Berry Islands are home to some of the best beaches including Dannenberg Beach, Queen’s Beach, Sand Dollar Hill, Shark Creek, Shelling Beach and Sugar Beach to name a few. Great Harbour Cay stretches out more than 7-continuous miles across powdery white sands that are beyond the imagination. For those historians, Shipyard Beach makes the site of the first settlement in the Berry Islands dating back to 1836. One of our favorites beach settings is the pool, beach and Tiki Hut beach bar at Chub Cay … so dreamy … and we can fly you in direct! Although small in size, Bimini Island has earned its spot on the list of best islands in the Bahamas for its beaches. The majority of the island’s beaches are fronting on the west side of North Bimini Island in an arc that encompasses three continuous beaches stretching out from Alice Town. Other beaches commanding praise from all who visit include Radio Beach, Blister Beach, Spook Hill and Tiki Hut Beach. Some are only reachable by boat. 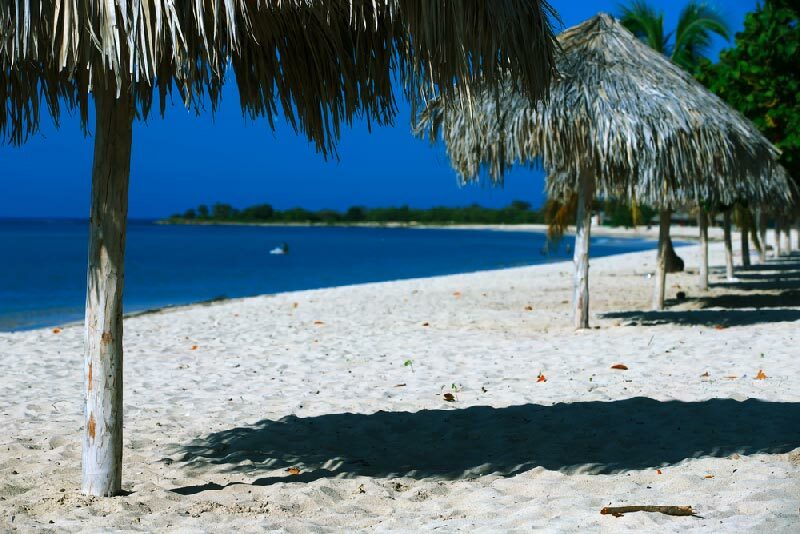 Home to many lovely secluded beaches, Cat Island offers visitors quiet spots for snorkeling, kayaking, tanning and more. 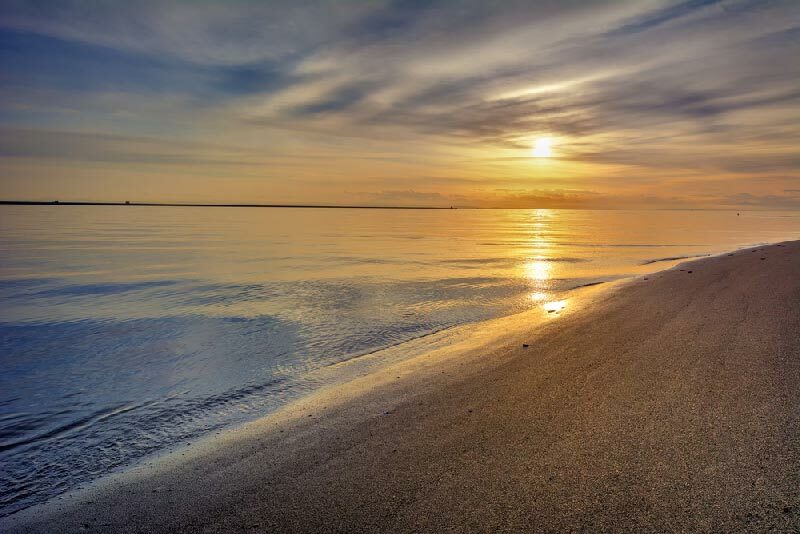 Some of the favorites include Fountain Bay Beach, known for its natural fountain, New Bight Beach, a popular spot for locals to go dancing, and Old Bight Beach, perfect for taking long walks or enjoying a picturesque picnic. In a long list of great beaches, the Cat Islands play host to several other beaches including Greenwood Beach, Fernandez Bay Village Beach and Orange Creek Beach. Located far closer to Cuba than any other Island of the Bahamas, only a little more than 30 miles away, Cay Sal Island is a haven for Bahama visitors looking to explore wildly exciting deep sea adventures. Popular diving sites include enormous blue holes, coral reefs teeming with aquatic life, or the history probing wreckage of the Rompidas. Covering more than 2,000 square miles of ocean front property, only a quarter of Cay Sal is considered dry land so there is plenty of beach space to call your own in this scantly populated island group that straddles the Atlantic Ocean and the Caribbean Sea. Remotely located just north of Turks and Caicos, Crooked Island is full of lush nature that inspires visitors to relax and explore. This quiet paradise is lined with miles of untouched white shores, coral gardens, limestone caves, mangrove-lined creeks and remnants of the rich history that took place there years ago. The Crooked Islands are an outdoor oasis for travelers both seeking to explore magnificent aquatic life and relax along the untouched, pristine beaches. Lined with pink sand, Eleuthera, approximately 50 miles east of Nassau, is home to several breathtaking beaches. Surfer’s Beach to the north is a popular wave-riding destination attracting surfers from both near and far who come to enjoy this incredible surfing location. Another popular beach is Lighthouse Beach located to the south of the Island. Lighthouse Beach is home to miles of wide rolling pink sand beaches and an old lighthouse offering a spectacular spot to enjoy the ocean. Additional beaches that draw visitors are Preacher’s Beach, Cape Eleuthera Resort Beach and French Leave beaches. The Exuma Islands host beaches that range from renown, award-winning beaches to beaches that are completely untouched and beckon exploration. 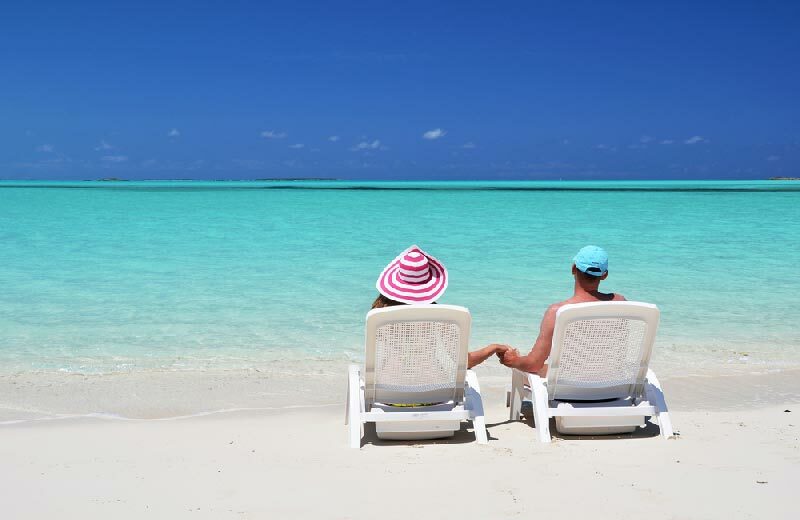 The Exumas offer crystal clear waters that invite the best in outdoor entertainment whether you are kayaking along the shore, snorkeling through the aquatic wildlife, or searching for sand dollars on Coco Plum Beach. Tropic of Cancer Beach (aka Pelican Beach) is one of the most famous beaches of the Island, known as the location where the first Pirates of the Caribbean was filmed. 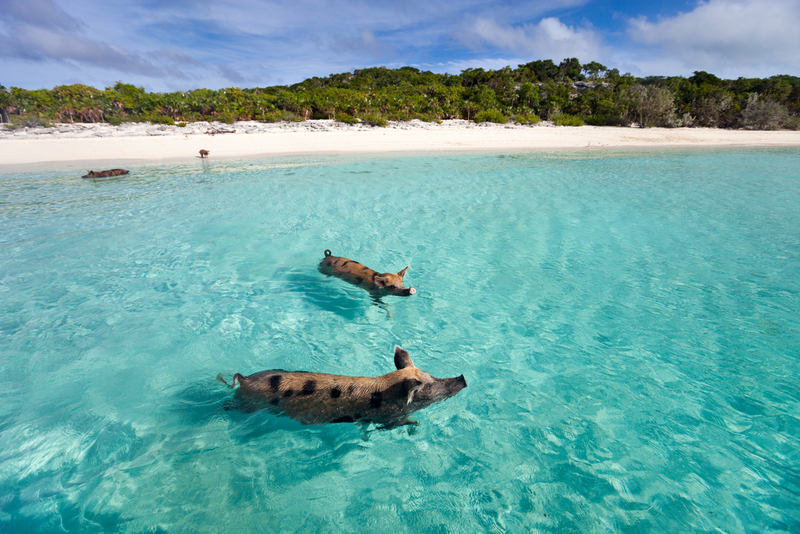 The Exumas are famous for the swimming pigs of the Bahamas on Major Cay. Looking for a trip of a lifetime, Air Flight Charters can fly you directly into Staniel Cay where you can visit the Bahamas swimming pigs then head over to see the famous James Bond Thunderball Grotto. Get even more adventurous and take a dip with nurse sharks for another great photo op! 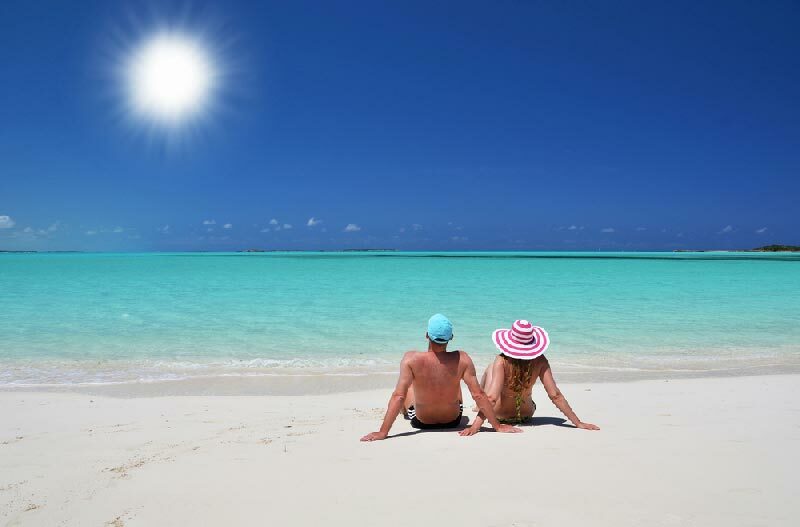 Surrounded by miles of turquoise blue water, you can’t go wrong with any of the beaches in the Exuma Islands. Surrounded by reef-protected shoreline and picture perfect beaches, Grand Bahama Island is sure to take your breath away. With more than 90-miles of sprawling white sand on the island’s southern shore, Grand Bahama Island draws visitors from around the world. The island is noted for its nature preserve and bird sanctuary which shares space with a children’s playground on Taino Beach. 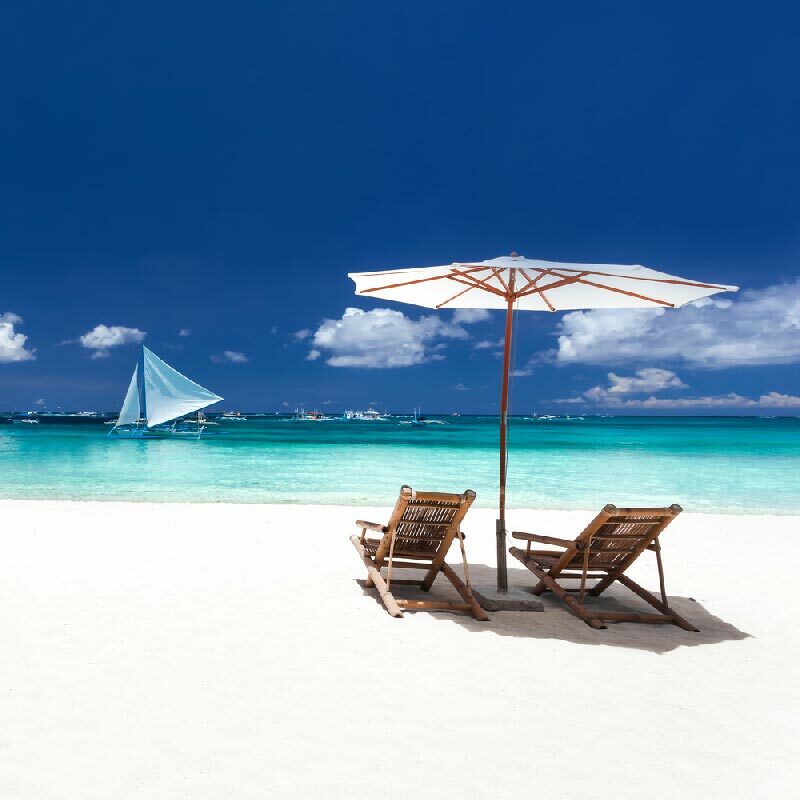 By far the island’s jewel when it comes to identifying the best beach is the Gold Rock Beach. Other notable beaches include Fortune Beach, Barbary Beach, Lucayan Beach and William’s Town Beach. 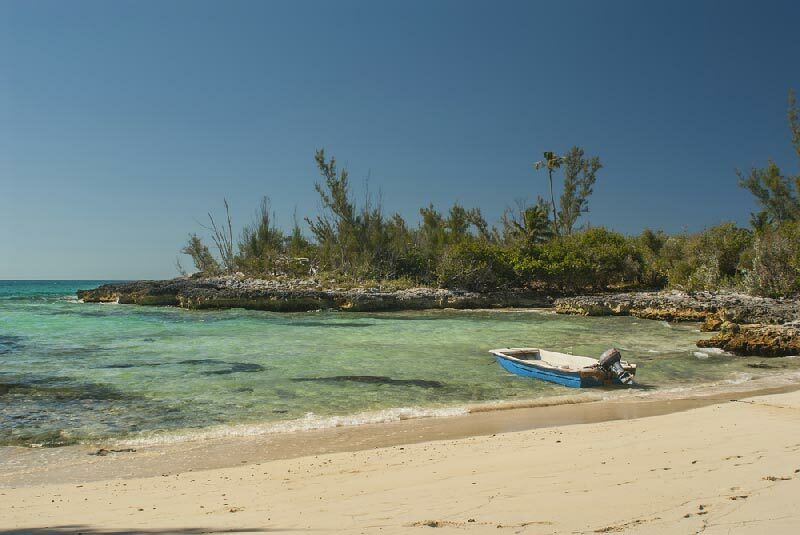 Peppered with beautifully secluded beaches, Inagua Island is the perfect get-away. For those hankering to snorkel and commune with the green and hawksbill turtles, Coconut Grove Beach is the place to visit. 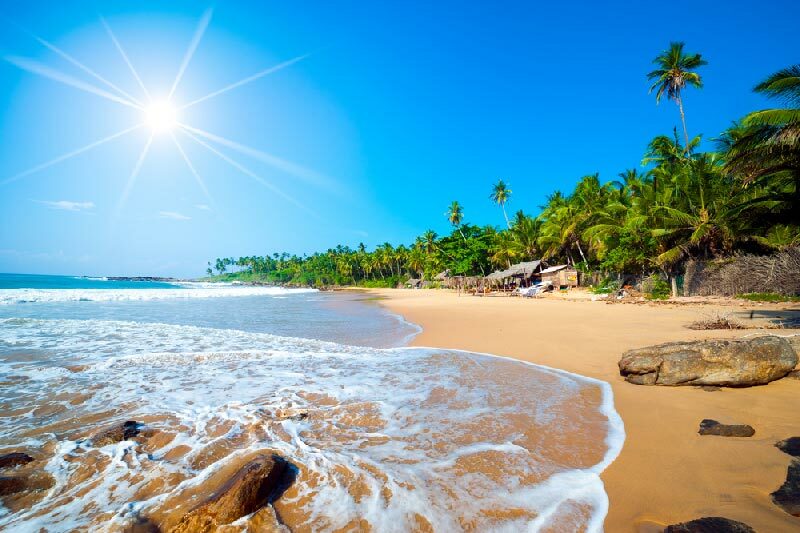 For a beach experience that mixes the beauty of the tropics with the warm personality of the local populous, an afternoon on Iron Badge Beach is perfect. Visitors spread out beach towels and set up umbrellas to sunbath, picnic, or simply relax on hammocks strung between palm trees. Other top beaches in the area include Farquharson’s Beach, Nixon’s Beach, Northeast Point Beach and Devil’s Beach. Known for its serene, captivating beaches, Long Island offers visitors a picturesque place to sunbath, relax and explore. 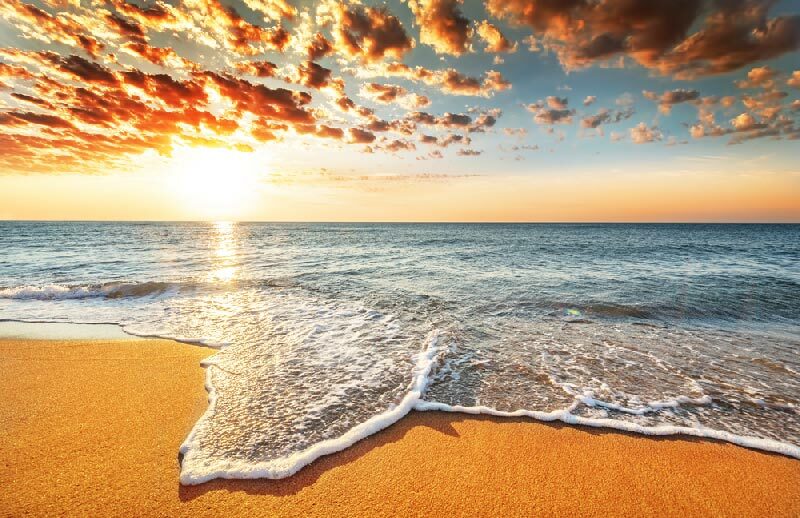 The beaches of Long Island range from short to long, pink sand to buttery soft yellow, each offering unspoken beauty to those who visit. Some beaches are teaming with activity crowded with people splashing in the surf, while others are encircled by pine trees and haven’t seen footprints in weeks. 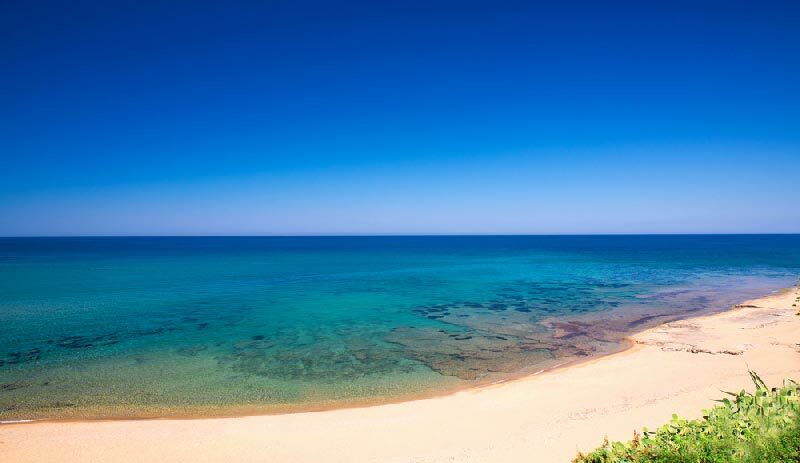 The most renown of all is Cape Santa Maria Beach, ranked among the best beaches in the world. A favorite anchorage spot of 17th-century pirates plying the waters of the Caribbean, the Mayaguana Islands continue to be a favorite for travelers looking to slip away to the seclusion of the Bahamas outer islands. Visit small local fishing villages and discover the best places to drop a line in the water in hopes of snagging a bonefish or head out to Northwest Point to go diving in sea caves that are plentiful throughout that area. The most populous island in the entire Bahamas Island Chain, New Providence is home to two-thirds of the Commonwealth’s population. 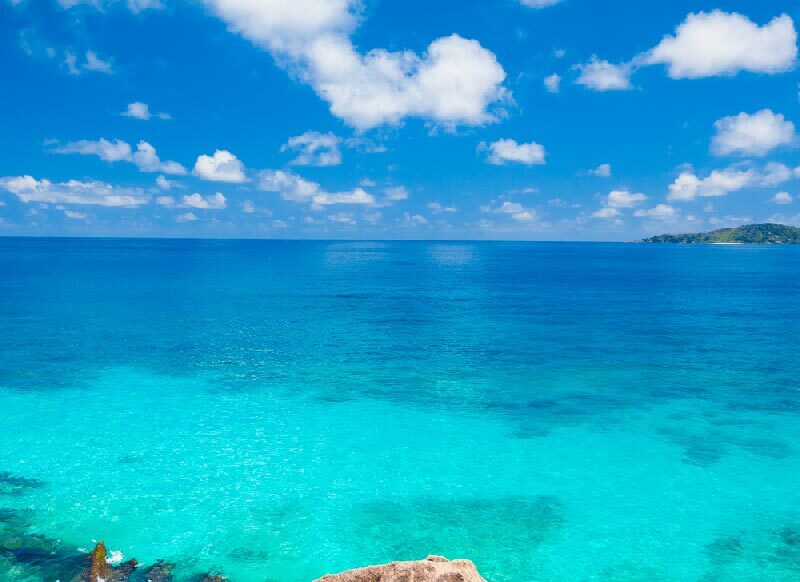 New Providence Island is a point of destination for people all over the world. People come to swim with dolphins, visit Predator Lagoon (one of the most renown aquariums), stay at Atlantis, scuba dive, snorkel and enjoy the sun on the sand. The most popular beaches include Love Beach and Cable Beach. Ragged Island is a quiet, scenic spot that attracts many fisherman with its unrivaled flats perfect for bone fishing. The Island has many historical landmarks and authentic Bahamian towns that beckon exploring. On the island’s northern shore, Drain Bay Beach is a favorite amongst the locals, Lover’s Leap and Airport Bay lie to the east and west and are other choice spots people tend to flock to when visiting Ragged Island. Lined with virtually untouched beaches of pink and white sand, Rum Cay Island is the perfect place to get away from it all. 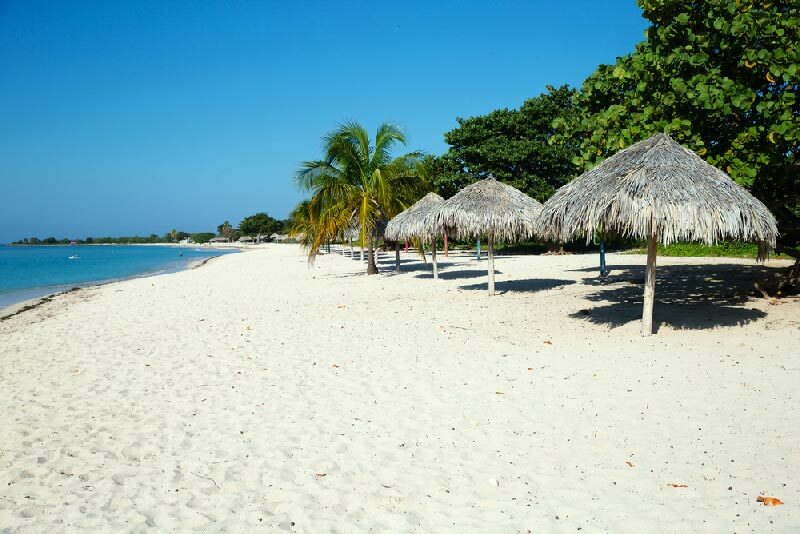 Some of the more popular beach spots include Sir Milo Butler Park Beach, Flamingo Beach, and Picnic Bay. Quiet, less assuming but just as spectacular as its neighbors, Rum Cay’s beaches are perfect for a quiet vacation under the sun, surrounded by clear aqua waters. 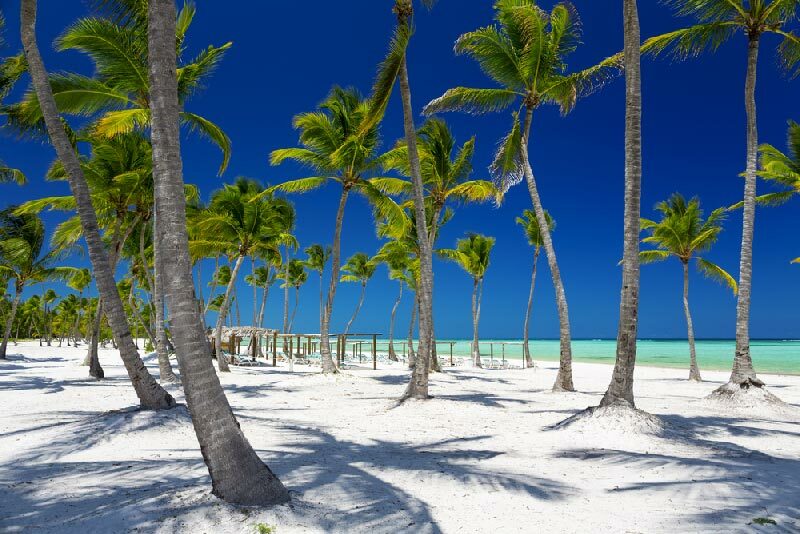 San Salvador Island beaches are a picturesque collection of pristine white beaches surrounded by miles of clear blue water. Some of the most popular spots include Bonefish Bay with lengths of shallow flats teeming with Bonefish or Long Bay, the Columbus Monument site, and Grotto Beach, which has a beautiful little cave for exploring. If you are looking for an isolated, relaxing getaway, San Salvador Island couldn’t be more perfect. Surrounded by miles of crystal clear water and untouched sea life, the islands of the Bahamas draw the attention of people all over the world. 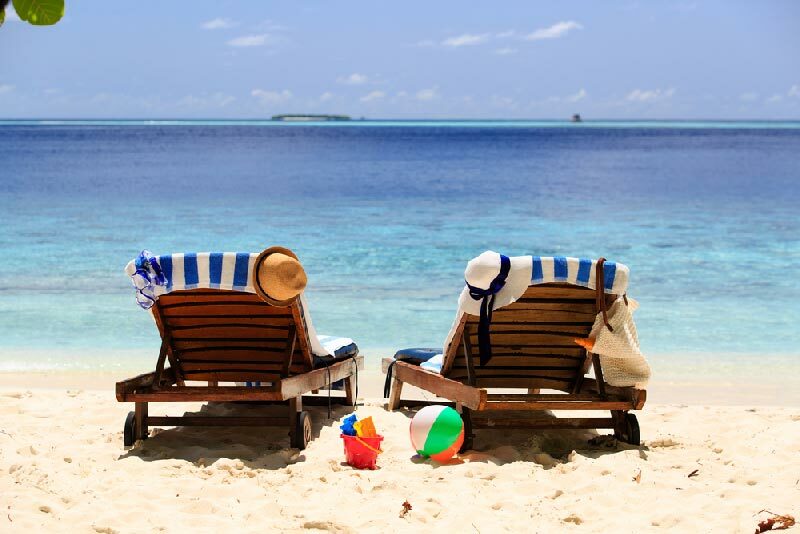 With 700 breathtaking islands and cays surrounded by deep, blue water covered in pure white sand, it’s easy to understand why many of the Bahama beaches have garnered “Best Beaches in the World” by numerous travel publications over the years. These islands offer visitors an experience that ranges from sandy, sunburnt and relaxing to action-packed Bahamian adventure. 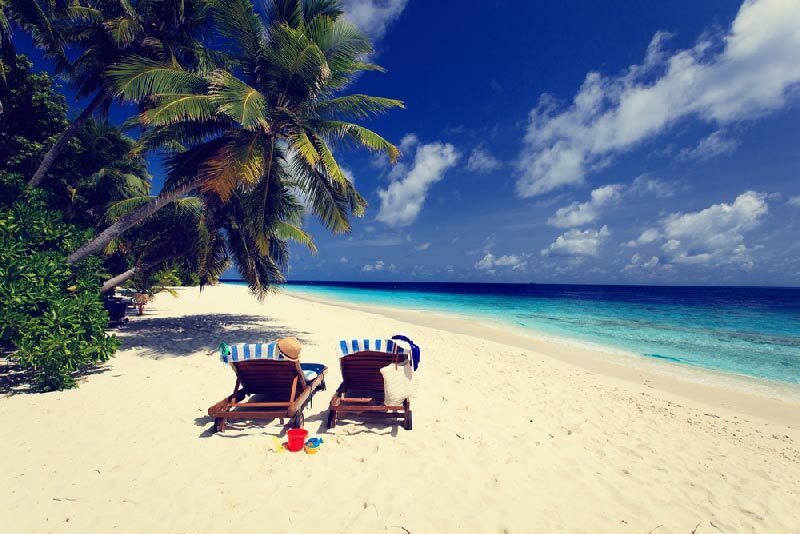 Click on an Island Name to the Left to read more about the many beautiful beaches of the Bahamas! For a fast, free, friendly, no-hassle quote … just shoot us an email or call us anytime, 954-359-0320.